Short-billed Dowitchers are one of those species that, at least for me, fade into the background once I have seen my first of the year. In the summer I start to pay attention to them again until I find a Long-billed Dowitcher hiding among them, and then I have pretty much had enough of dowitchers for the year. 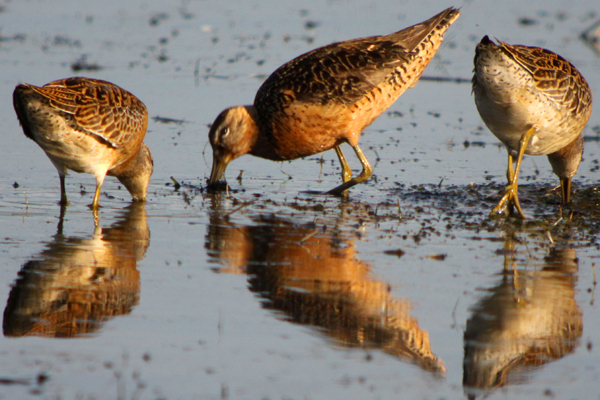 The only exception to this intentional ignorance of Limnodromus griseus is the young dowitchers, the brightly-colored beauties that start to peak a couple of weeks after the adult numbers peak, and brighten up the flocks of shorebirds with their fine feathers. 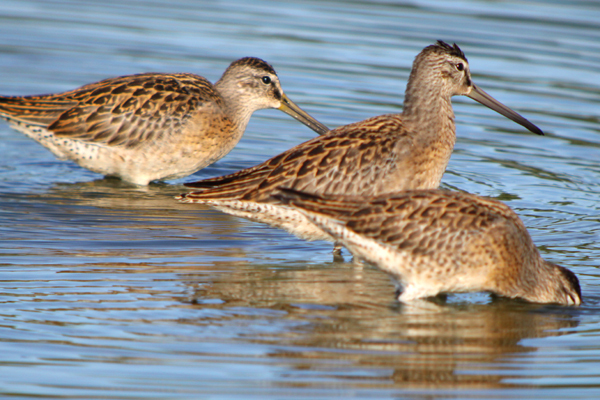 The photo above has an adult Long-billed Dowitcher Limnodromus scolopaceus in the middle. 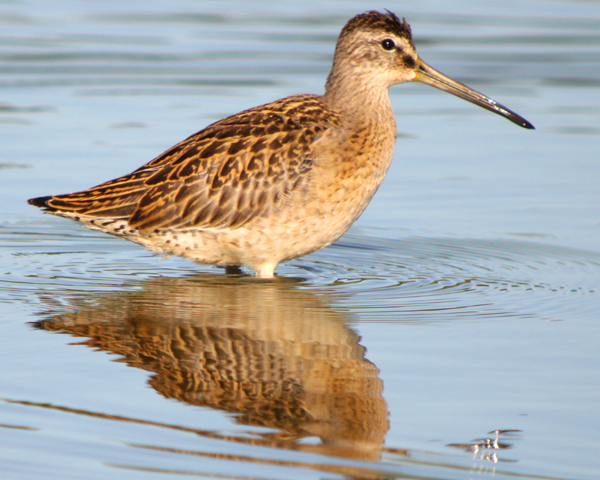 Not thrilled by dowitchers year-round? Try living in the Olde Europe for a couple of years. 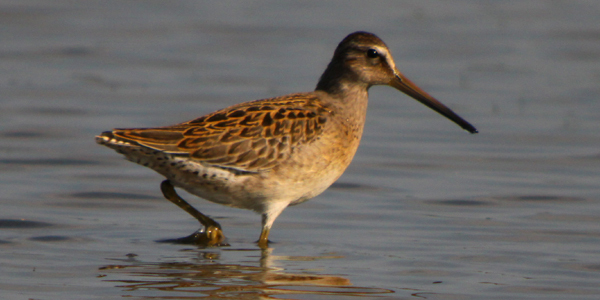 They are so unlike any of our shorebirds that they were the main shorebird attraction for me during my times in North America, no matter how many I had in front of me. 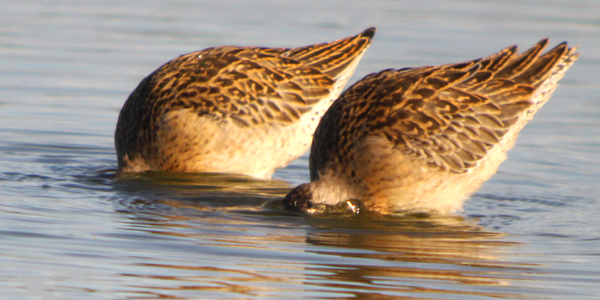 Dowitchers to me are the very definition of thrill and excitement in the North American shorebird world – they rock, rule, and whatnot. I guess all one can say about your post is “location, location, location”, “beggars can’t be choosers”, “one man’s trash is another man’s treasure”, “tossing pearls to … er … some birders I know”, … which is quite a lot one can say, come to think of it. 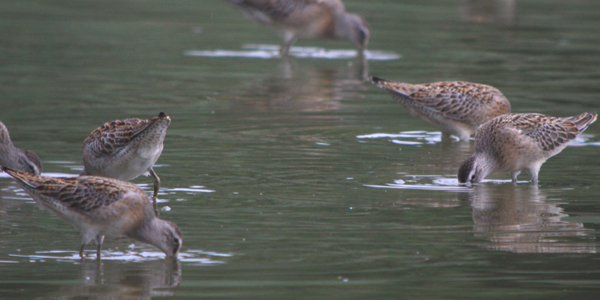 @Jochen: Well, maybe I overstated by lack of interest in dowitchers a little bit. Though, in my defense, we mostly only get them in migration and rarely see them in winter (and, if we do see them in winter they are almost guaranteed to be long-billed). 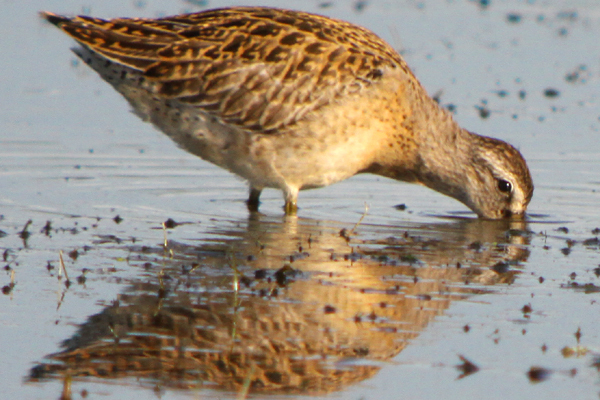 Such beautiful wader shots. Well done!